Note: Names of streets, squares etc. used below are those used at the time of the map - when different, today's names are added in square brackets. The maps use today's names only. Operator: Dopravní podnik Ostrava a.s.
Several historic trams have been kept by the Ostrava Public Transportation Company, and they are both exhibited and run through city streets on a regular basis. Forbes, N.N. 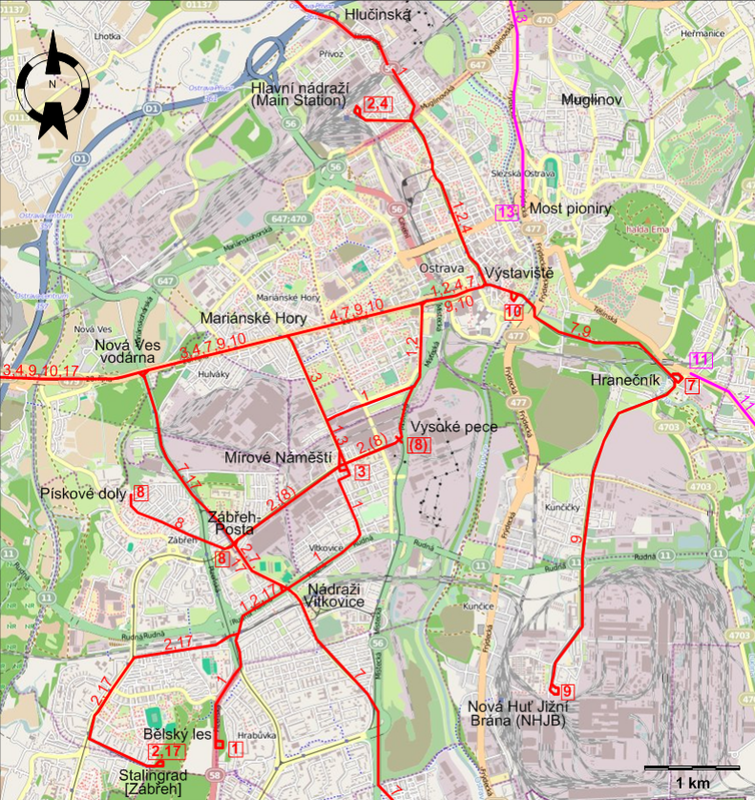 "The tramways of Ostrava (Czechoslovakia)", Modern Tramway & Light Rail Review. Apr. 1963 (26: 304), p.133-137. Lehnhart, H. & Jeanmaire, C. Tramway systems of Eastern Europe II. Villigen AG (Switzerland): Verlag Eisenbahn, 1977. Linek, J. 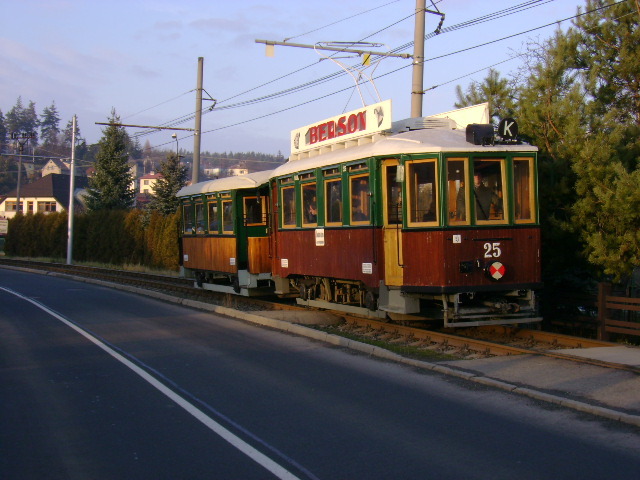 "The tramways of Czechoslovakia - Part 3: The remaining systems [Ostrava]", Light Rail & Modern Tramway. Oct. 1993 (56: 670), p.260-264. 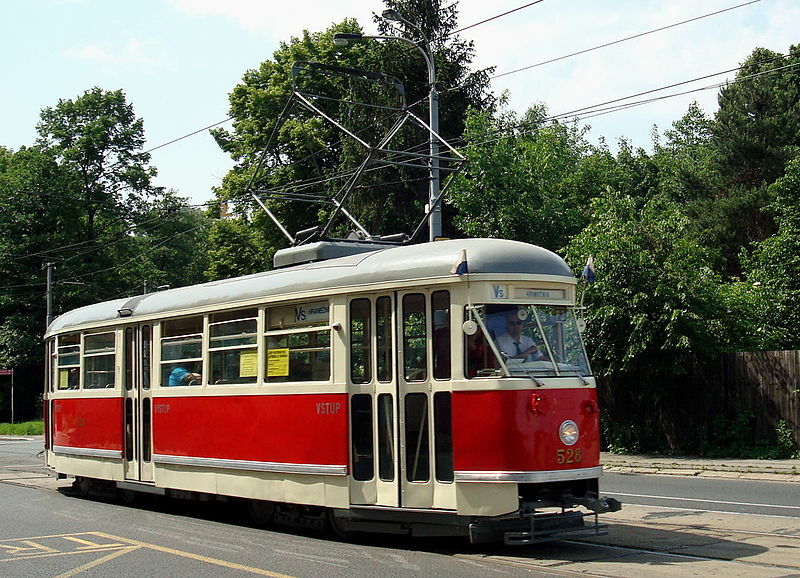 Pulling, N. "Systems Factfile No.113: Ostrava, Czech Republic", Tramways & Urban Transit. March 2017 (80: 951), p.103-108.